Just 20 km off the southern coast of East Bali lies the charming island of Nusa Lembongan, encompassed by a combination of white sand beaches, mangrove forests and Limestone cliffs. It is the most famous of a group of three islands; Lembongan, Ceningan and Penida that make up the Nusa Penida district and so called Bali’s sister islands. 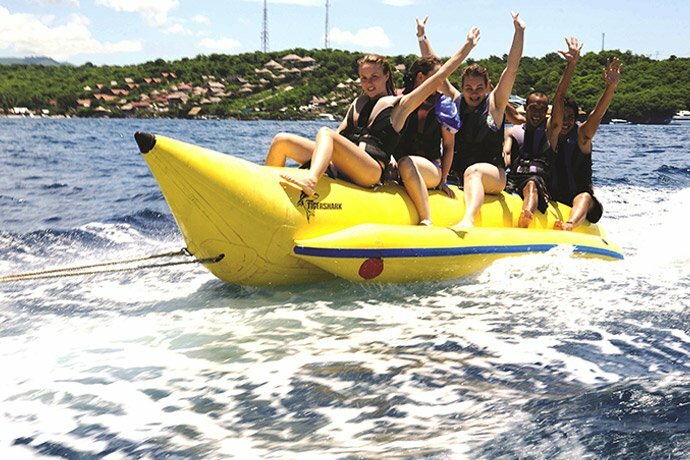 Lembongan is a delightful place where water sports enthusiasts and beach lovers alike can indulge in a variety of marine activities or just get away from the hustle of south Bali. 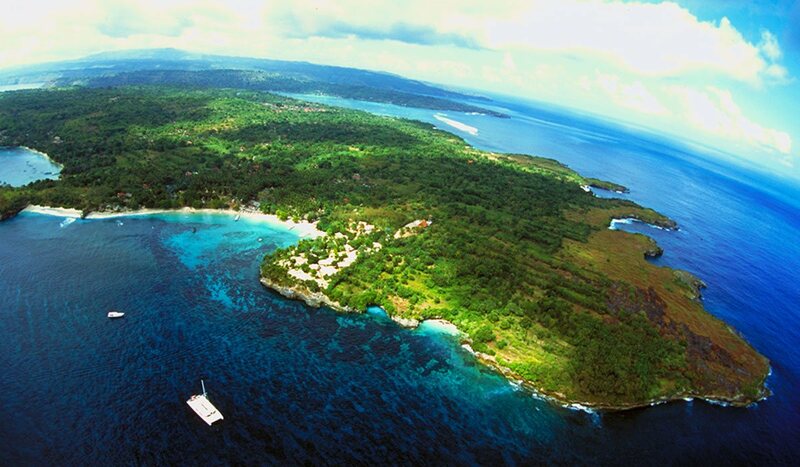 Lembongan Island invites you to simply relax and enjoy the tranquil surroundings of a tropical Balinese Island. Feeling more adventurous? 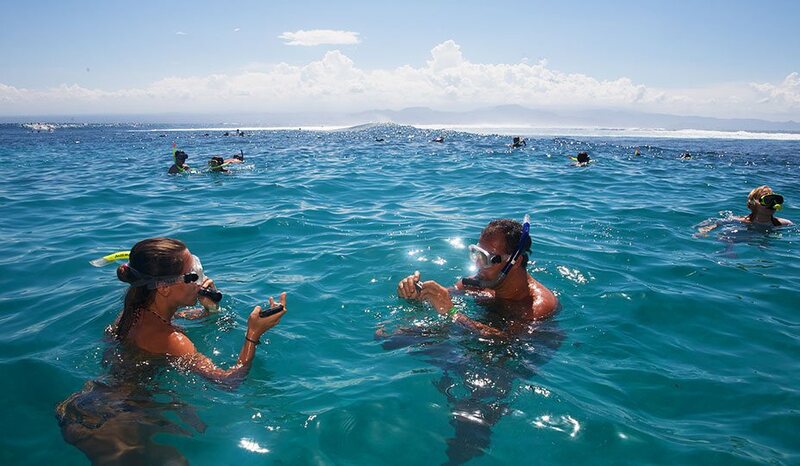 There are a variety of activities available on Nusa Lembongan Island. Nusa Lembongan and it’s sister islands are surrounded by clear waters and stunning coral reefs which makes for fantastic snorkeling and scuba diving. 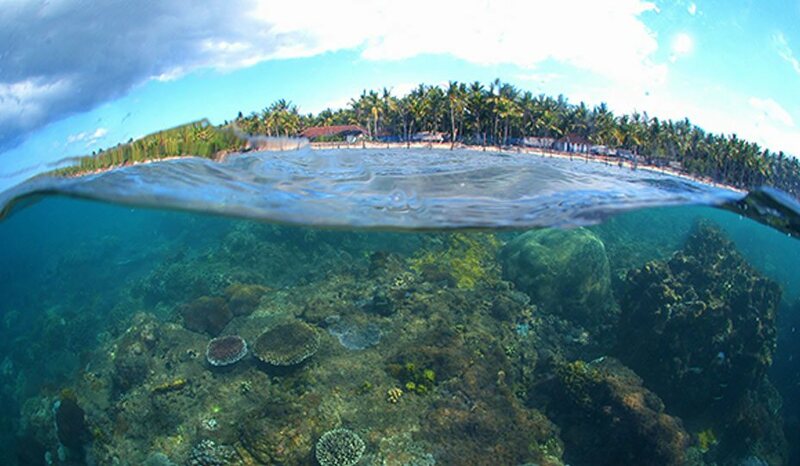 Water sports seekers can enjoy the beautiful reefs that surround Lembongan Island. This vibrant marine eco system is home to marvelous marine life and magical underwater world, it attracts many snorkelers and divers to experience the world class biodiversity present in the reefs around Nusa Lembongan. 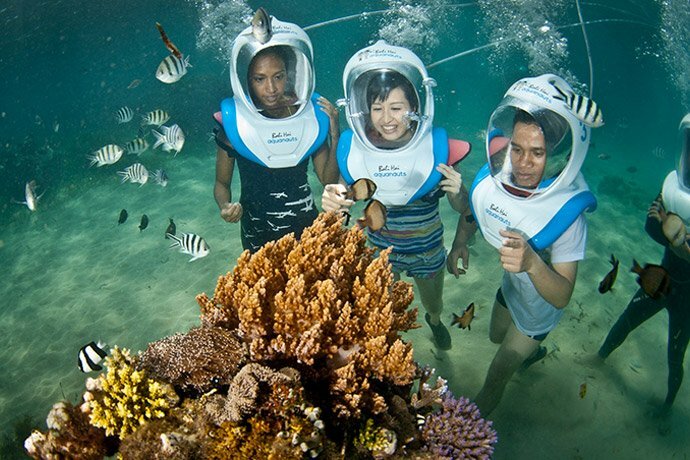 Bali Hai Diving Adventures, our diving operations, will show you how amazing scuba diving Lembongan can be. Taking a tour to the local village on Nusa Lembongan introduces you to very traditional and unchanged village life. The island is small, 4km long and less than 3 km at its widest part. Lembongan is home to around 5000 people. It is sheltered by an offshore coral reef that provides perfect conditions for seaweed farming; the main form of income for Lembongan Islanders. The ancient Legend tells a man called Dukuh Jumpungan from old Bali Kingdom of Klunkung sailed east from Padang Bai with his magical boat and hit a sacred mountain called Tohlangkir at current location of Lembongan. The island was created on the place where Dukuh Jumpungans’ magical boat sunk after hitting the sacred mountain. Traditionally the income of Nusa Lembongan local residents comes from seaweed farming and fishing. However, as the infrastructure of the island is developing many people work in the hospitality industry nowadays. As the main religion on Lembongan Island is Hinduism, you will see many temples and shrines of various sizes all along the way during the tour. Looking north-west across the sea we can see Mt.Agung on a clear day. 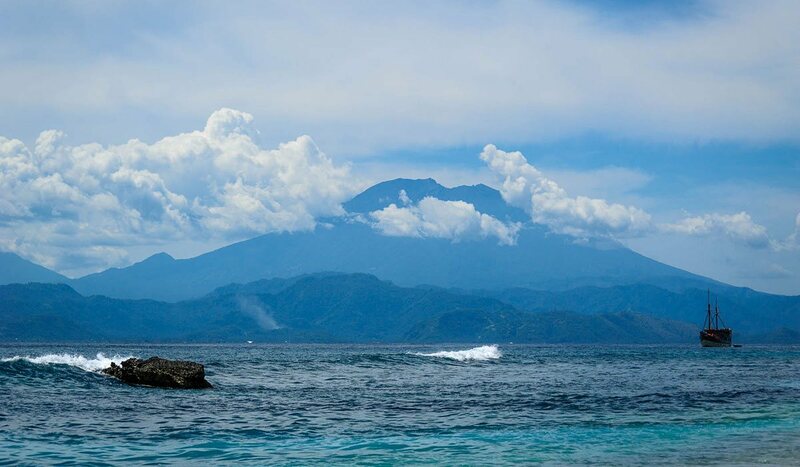 Mt.Agung, Bali’s highest volcano creates a rain shadow over the 3 Islands area which is responsible for a drier and slightly cooler climate of the region. Nusa Lembongan has around 212 hectares of mangrove forests flanking it’s sides. An active mangrove forest conservation program is being conducted by the Lembongan island residents with help from government and some NGO’s. Apart from the mangrove forest itself, the mangroves are home to various birds, crabs, some lizards and butterflies. Found in tropical and subtropical tidal zones, mangroves are a critically important natural defense for coastal areas, serving as buffers against storms and erosion and providing a vital source of nutrients for fish and coral reefs. Many fish and crustacean species are dependent of Mangroves as an important egg laying and nursery areas for their juveniles. 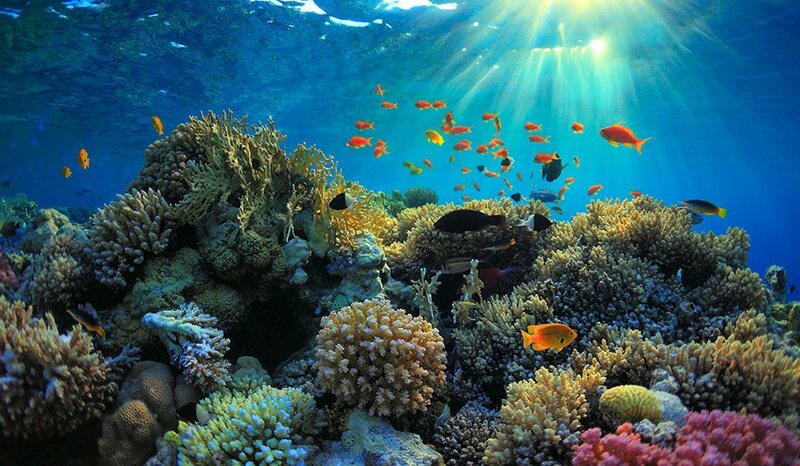 Mangroves and coral reefs have a symbiotic relationship – the reef protects the coast where the mangroves grow from being eroded by the sea, and the forest traps sediment washed from the land that would otherwise smother the reef. 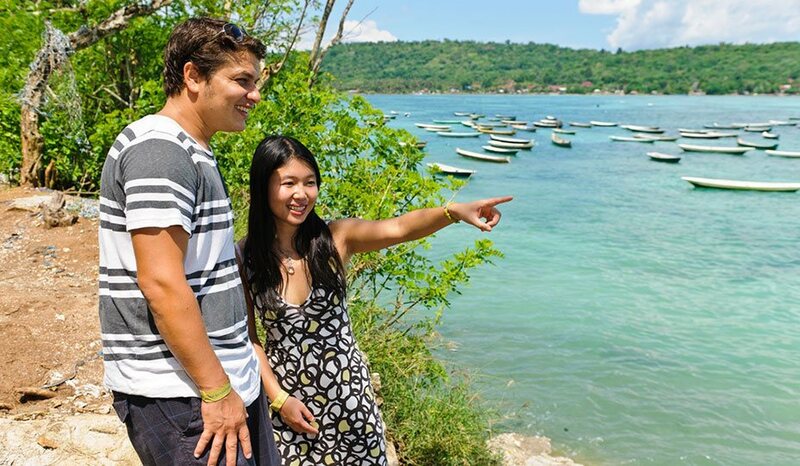 During the village tour you can see the main seaweed farming areas on Lembongan. Here you will have an opportunity to learn about the seaweed farming procedure, see the farms and the charming view of the seaweed boats at the end of Ceningan channel. One of The main income for the population of Lembongan is still seaweed farming. The farms have been recorded to cover an area up to 70 ha. Nearly every family owns approximately 3-5 acres of seaweed farming ‘bed’. One acre may produce 150 – 200 kg of dried seaweed with each harvest. The seaweed is farmed by tying the sprouting algae shoots to farming plots with rope and wood stakes embedded in the seabed. It takes one month to grow to a size able to be harvested and then three days to sundry. Seaweed is used for medicines, food stabilizer, cosmetic and gelatin for ice cream.